Every well-equipped nature fan should have at least one pair of breathable Outdoor Light Merino Low Cut Socks. The lightweight medi compression fabric with merino wool gives you accuracy, stability and better coordination. They feature a temperature-regulating blend of natural merino wool and high-tech fibers that keeps your feet comfortably cool and dry on hot days. 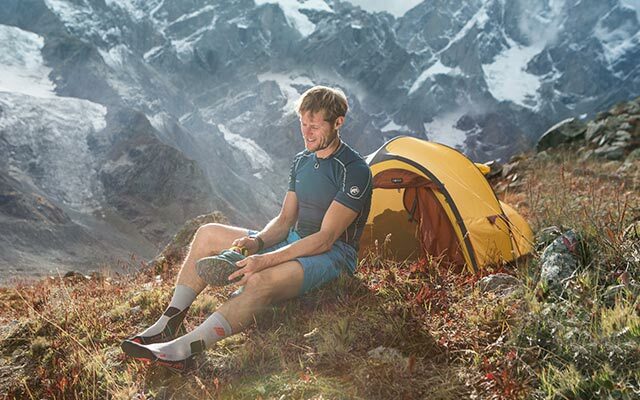 And the anatomical design of the Outdoor Light Merino Low Cut Socks prevents the socks from slipping so you can concentrate on the essentials: your next step, nature and you.